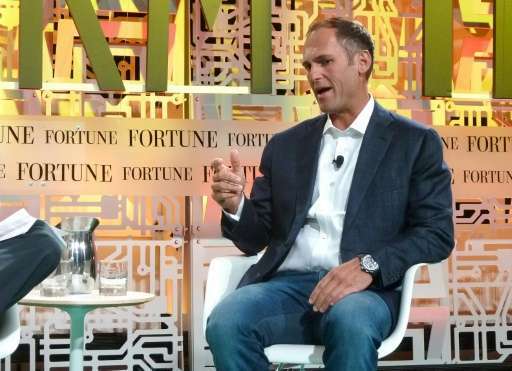 At the Fortune Brainstorm Tech Conference at a mountain resort in Aspen, Colorado this week a key topic of debate among tech leaders and investors were the risks and rewards in the fast-growing sector. "We're trying to be more disciplined in the terms of the bets we make," said Byron Deeter, a partner in Bessemer Ventures, which has invested in startups including online star Pinterest. Venture money has been flowing at an unprecedented rate into private placements in startups—a phenomenon which has venture firms both excited and cautious. A report by the research firm Mattermark showed venture funding for US startups jumped to $17.1 billion in the second quarter from $15.65 billion in the prior three months. "They (investors) are looking for that alpha," Deeter said at a forum on the state of venture funding. "It's worked so far, but when the music stops they will pull back lightning fast." The discussions come amid debate over the growth in "unicorn" startups, those valued at more than $1 billion, which may shake up some sectors or which may simply be overvalued. According to the research firm CB Insights, there are now 188 unicorn startups worldwide worth a collective $447 billion. Bill Maris, managing partner at Google Ventures, told the forum he was not overly concerned about high valuations. Maris, whose firm has invested in one of the biggest unicorns, Uber, believes "the best and most exciting investments are the ones that feel the most uncomfortable, that seem the most overpriced at the time." Venture investors in Aspen appeared split on whether they see a repeat of the devastating dot-com collapse which devastated the tech sector in 2000. 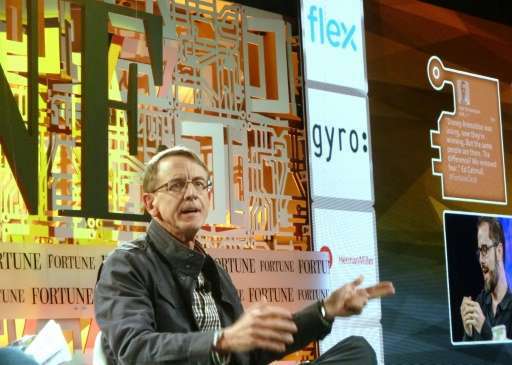 John Doerr, general partner at the prominent Silicon Valley private equity firm Kleiner, Perkins, Caufield & Byers, said he still sees opportunities. "People compare 2015 to the last bubble, but people lose sight of the fact there were no smartphones in 2000," he said during a question-and-answer session in Aspen. "It wasn't possible to distribute a billion copies of a new application globally in less than a week. So the markets we are trying to serve are much larger." Doerr said that even though valuations appear high for privately funded startups, "I believe you can make good returns... at any place along the spectrum, from the earliest of incubations... all the way up to the later-stage investments." Doerr, whose firm has a large portfolio of tech startups from Twitter and Nest to DoorDash and Coursera, did warn that investors should be "super careful" if investing in the late stages of a startup. Of particular concern is the huge growth in funding for privately held startups which delay the more conventional approach to raising capital through initial public offerings on the stock market. Until recently most firms raising hundreds of millions of dollars needed to go to the public stock markets and open themselves up to more scrutiny in their finances and strategy. An IPO requires "really rigorously evaluating the financials," said Dayna Grayson, a partner in New Enterprise Associates, which has investments in about 300 tech and health care firms. "When they are doing a private placement, they are looking at the financials a couple of times and then they are out marketing the deal," she told the Aspen forum. "It's very different. They can delay the IPO and they can delay the financial rigor that they might otherwise have to put into the company." Grayson said startups can do well as private firms if they are ready for the worst. "This is all fine if you are planning for when the music stops, if you're planning for that financial rigor," she said. Nevertheless, Deeter said many venture investors are still being seduced by the lure of high growth, even if there is no clear path to profits. "We're not value investors. We fall in love and close our eyes," he said. "We believe we're getting bailed out by growth rates and we're seeing spectacular growth rates." Nikesh Arora, president and chief operating officer for Japanese telecom giant SoftBank, also expressed caution. "We've looked at a lot of things in Silicon Valley," the former Google executive said. "The valuations are rich." While he said some companies have grown into hefty valuations, Arora said "If you had to count them you would run out of companies before you run out of fingers." Prominent Silicon Valley firm Silver Lake, known for investing in China's Alibaba and for helping take PC maker Dell private, said he is steering clear of the unicorn herd, managing partner Egon Durban told the conference. Durban said on stage that he feels "constrained by financial logic and linearity," adding that he sees many tech firms are "fundamentally mispriced" by their cash flow. "When the market feels like this you have lots of liquidity," he said. But if the stock market starts to fall, he said the privately held firms will see values slump "at a much greater rate." "So if the market drops 10 percent the private market can go down from 30 percent to no-bid," he said. Take Uber, lyft which will both soon be replaced by apps that are not so greedy as Uber is. In fact 50% of the stock market will be gone in 15-20 yrs replaced by local production, services. Most utility, F energy companies will be small fractions if they survive as homes, buildings just make their own energy, fuels for much less. Things like banking, 'stocks', food, etc will be local to local.